Allow me to make things clear right from the start. 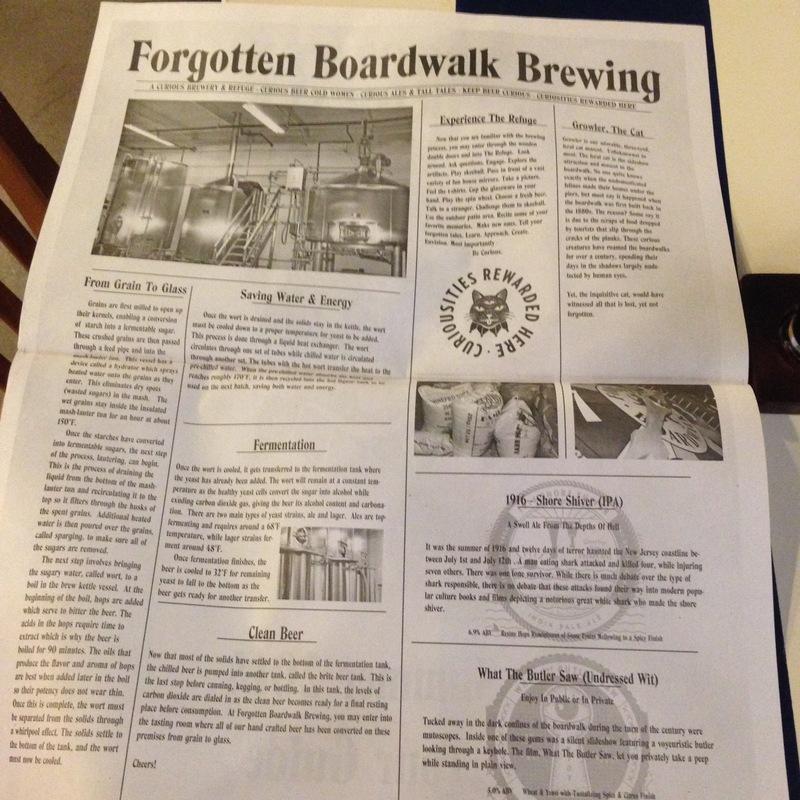 Forgotten Boardwalk Brewing is Fun, Fun, and Fun! As soon as you walk in you’re transported back in time to Atlantic City’s hey day. What makes this place works is the details, they nailed it, with themes it can go cheesey over the top but instead the concept was thought out and perfectly executed. The bar area is a throw back to speakeasy days with wood shelving, a fun spin wheel in the middle and whimsical cat tail tap handles. 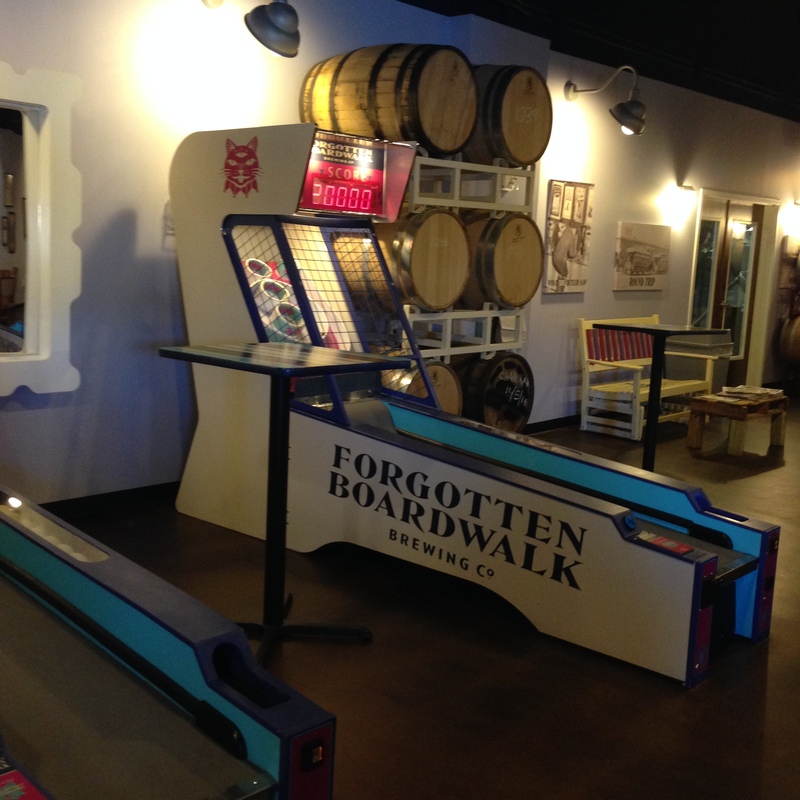 There’s historic photos displayed through out the tasting room, fun house mirrors, perfect mood lighting that resemble street lights from yesteryear, skeeball machines (one of this Gal’s favorite boardwalk games) and the topping on the cake was the music. The music really sealed the deal for this Gal – classic vaudeville carnival type jazz music. In no way is this place gimmicky just relaxing and fun. You tend to forget you’re in a warehouse until you look through the glass doors at the brewery then you’re brought back to the reality of present day. 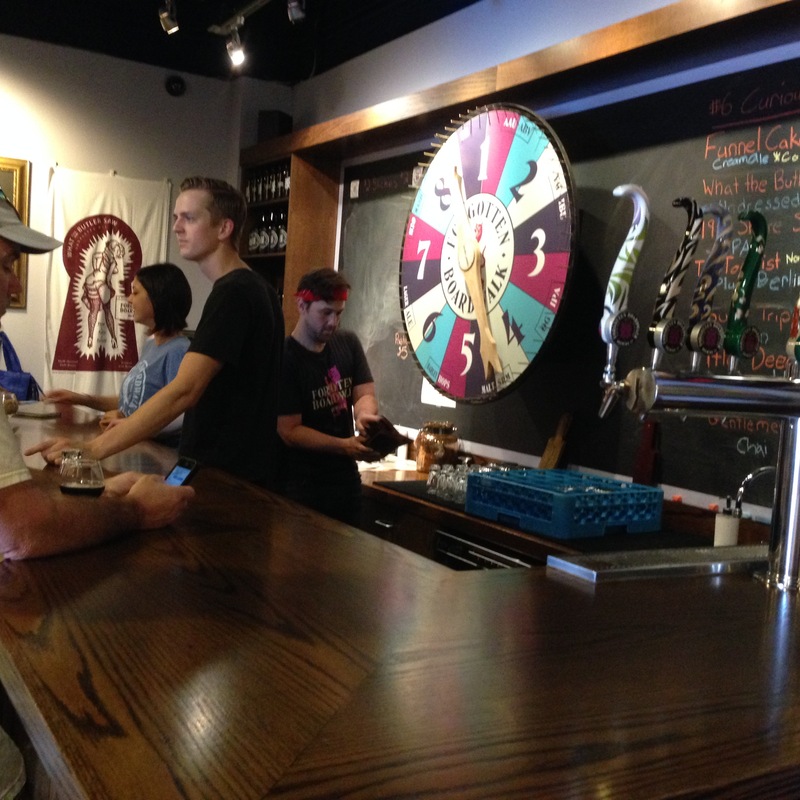 It’s hard to believe this is the same brewery that used to house Flying Fish Brewery. 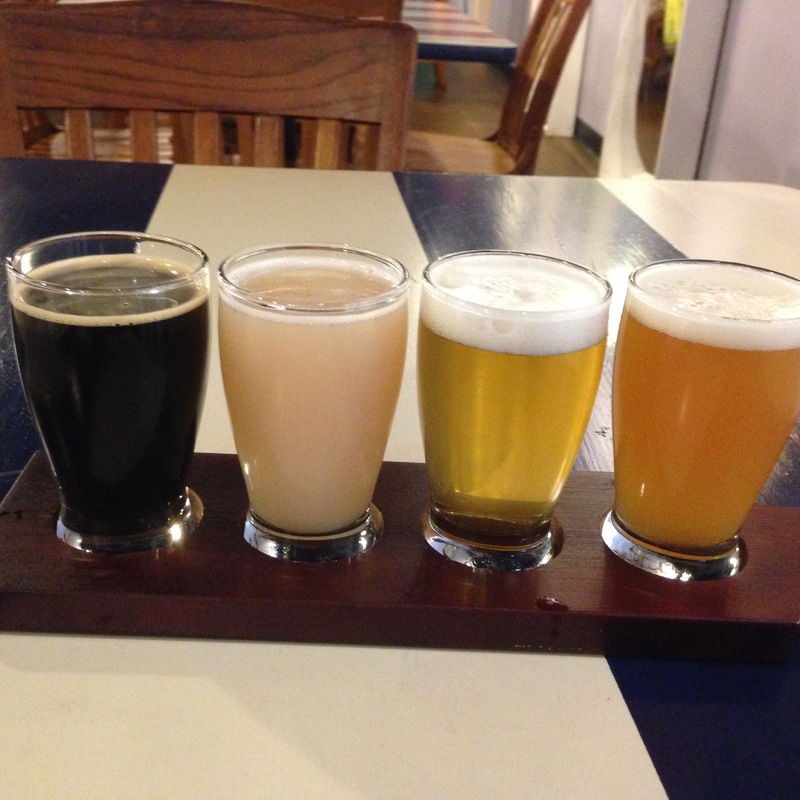 Taster right r to l.
The brewery may be a throwback to a bygone era but the beer isn’t. David is brewing great innovative beers that stand out in today’s brewing world. The Tourist Plum Berliner Weisse – surprised by the color sort of reminded me of coconut milk/water but the taste is very much a sour. Nice job. Round Trip Hoppy Saison 7% Great balance of spices, bitter hops and refreshing citrus all balanced out by yummy malts. 1916 Shore Shiver IPA 6.9% Wow, the hops are balanced by a interesting combo of fruits (think nectarines ). I brought home a growler of this little delight. Even the beer names are fun and be sure to read up on the story behind each name. If you get hungry you’re welcome to bring in your own food from the outside. 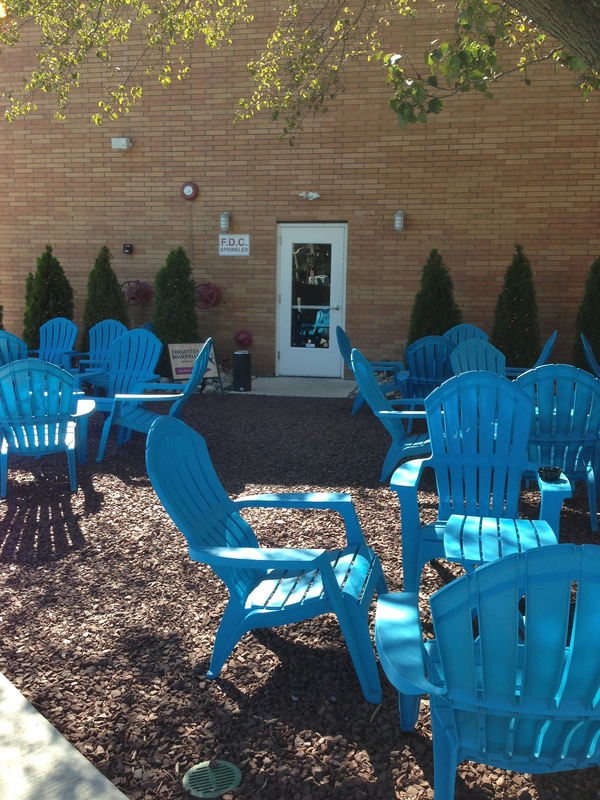 You’re welcome to either enjoy it inside why visiting another time period or outside in the fun beachy seating area. I have to give high props to Jamie Queli, the owner, she really captured the look and feel of a bygone era.